Exploring the Liability Issues of a Slip and Fall Accident - Law Offices of David M. Benenfeld P.A. In most states, including Florida, anyone that owns or controls a property might be liable when they fail to exercise care in maintaining that property and that failure injures a person on it. 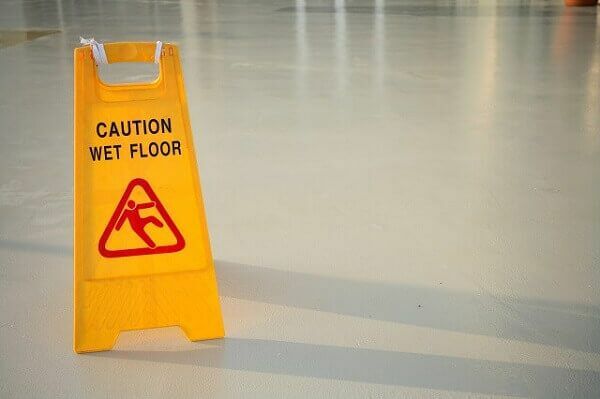 This area of the law is known as premises liability, and premises liability covers the category of claims that include slip and fall accidents. In a slip and fall, premises liability will attach the fault to the party that was responsible for the property and their negligence that led to a person’s injury. Most people injured in a slip and fall are unaware that they have the right to receive compensation for their injuries. While it is true you can receive compensation; you must realize that compensation does not apply in all cases. Instead, you must understand how liability works in a slip and fall case and when it could be applied. The State of Florida imposes laws and varying rules for that law, depending on the classification of the visitor on the property. For example, Florida does not recognize the rights of someone trespassing. Instead, the owner only owes them the lowest standard of care acceptable by the law. The only time the owner would be responsible for the injuries of a trespasser is if they engaged in wanton or willful misconduct at the time of the victim’s injury. On the other hand, a business owner’s client, such as a customer visiting a retailer, receives the highest duty of care. As you can see, premises liability law has a vast reach and the amount of liability applied will depend significantly on a person’s visitor status. In most slip and fall cases, the plaintiff will fall into the category of invitee or licensee. Both of these parties have the owner’s consent to enter the property and remain on that property. The owner or operator of that land must inspect, look for dangerous conditions, and correct any hazardous conditions within a reasonable amount of time. They must also warn invitees and licensees of potential dangers if they cannot repair the threat immediately. The process of assigning liability is much more complicated than this. It comes down to who is responsible (which may or may not be the owner of the property), your role in the accident, and the standard of care expected of the property owner. The owner or an agent of the owner caused the condition that led to your accident. The owner or agent of the owner would have reasonably known about the hazard and failed to correct it. The owner or agent should have known of the condition by properly maintaining the property. And had they done their duty, they would have discovered the hazard. Unfortunately, the term “should have known” is where the law becomes confusing for some. What a person should have known is determined by a judge or jury by comparing what a reasonable person would have done. What Is a “Reasonable” Standard? Negligence cases base themselves off the defendant’s inability to act reasonably. Determining a property owner or controller’s reasonableness comes from comparing their actions and whether they made adequate or regular measures to keep their property safe and clean. How long had the hazard been there and how long would it have been there before an owner would have noticed it? Does the property owner have a procedure in place for cleaning, repairing, or inspecting their premises? Do they keep maintenance records showing that they have conducted the necessary inspections and made improvements? Was there a reason for an object blocking your pathway that caused you to trip and fall? Could the owner have removed the hazard blocking the way? Is there a safer place where the hazard could have been placed that would not have created a great inconvenience to the project the owner was working on? Could a barrier or warning have been placed so that people passing by would have known the hazard was present? Did poor lighting or no lighting cause the accident? Before liability can be determined, your contribution to the accident must also be considered. In almost all slip and fall cases, the victim’s contribution comes into question. The court must assess the rule of comparative negligence to decide if you were at fault, how much you contributed, and how that affects your compensation. Florida uses the comparative negligence standard. That means that any amount of your negligence will reduce your settlement by the percentage assigned to you. For example, if you were 40 percent at fault, then your normal compensation of $100,000 would be reduced by 40 percent; thus, removing $40,000 from your payout. Did you have a reason for being near the danger or could the owner have reasonably anticipated your presence there? If you were walking in an unauthorized zone of a retail store, for example, the owner would have no reason to suspect you would be there; thus, adding to your contribution. Were there warnings that the area was dangerous? Would a cautious person have noticed the spot and avoided it? Were you doing anything that distracted you from the imminent hazard? Determining liability is an involved process, and the defense will do what they can to put some of the blame on you for your slip and fall. Therefore, you need an attorney that has experience handling these types of cases and one that will defend your right to compensation in court. Speak with an attorney today from the Law Offices of Law Offices of David M. Benenfeld P.A We can help you recover compensation for your injuries in a slip and fall, including medical costs, lost wages, and your pain and suffering. To explore your options, schedule a consultation today at 954-677-0155 or request your free consultation appointment online. Back to School Driving Tips for Your Teen Driver Can You Sue for the Use of Restraints in Nursing Homes?